proper operation. They are also ideal for scroll work and precise designs on wood pieces. A facing tool for a metal lathe attaches to the end of the turning and creates a flat surface on the turned piece. The metal being worked is held in place by a chuck or a series of clamps that secures the metal in the center of a rotating plate. As the piece turns, the facing tool is moved up and down along the opposite side of the turning. turning will mate with a smaller turned piece. Recessing tools are similar to boring tools. However, the tip of boring tools typically is pointed toward the chuck end of the turning. Recess tools are straight or square-edged to form a square corner on the recess. Recessing tools are used in existing bores or drilled holes to finish and square off the inside portion of the turning. Metal lathes are for cutting, notching, shaping and polishing metal. 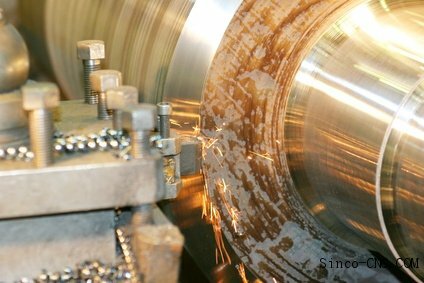 A main use for a metal lathe is precision drilling. Each lathe accommodates interchangeable sturdy drill bits in several sizes for accuracy. Controlled by an electronic operating system that is programmable, these heavy-duty lathes are also ideal for tough materials. Use metal lathes to sharpen edges and create various machine parts. Mini lathes are for precision and accuracy on small parts. These versatile lathes are a miniature version of the industrial size lathes, and operators can use and store them easily in small areas. The mini lathe is inexpensive and ideal for any smaller scale operation such as a home business, model making or similar wood making projects. Glass working lathes (also known as glass blowing lathes) are for blowing, cutting and shaping glass. People commonly use glass blowing lathes for scientific and artistic purposes. Operators can choose a manual or automated glass blowing lathe. These lathes are essential to the operation process, as they provide better glass manipulation and accuracy than handheld glass blowers.